I love trying different recipes; for me it’s like a challenge… a creative outlet. There are few things so gratifying and relaxing. Today, I wanted to share my dinner with you: Asian “Inspired” Short Ribs. They were delicious and very easy to make!! To mix things up, I accompanied the Short Ribs with some Jasmine Rice and Fresh Salad. You can pair them with anything! The beauty of cooking is that there are few rules and a lot of opportunities. 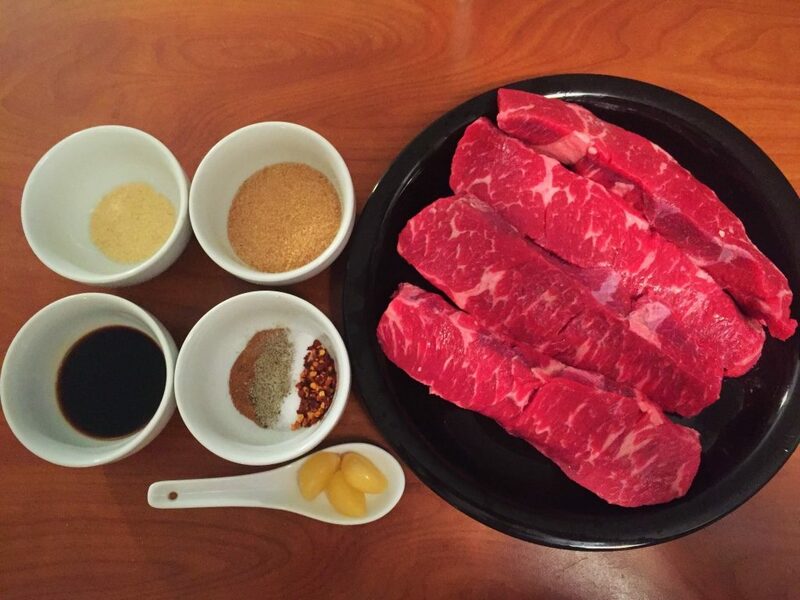 Rub the Short Ribs with the soy sauce, then with all the dry ingredients. Heat a large pre-oiled pan at medium temperature. Brown the ribs on all sides to maintain their moisture. Cover and transfer the pan to the oven. If your pan is not oven safe, you can use a roasting pan. Bake for 3 hours or until tender. Retire from the oven and drain the liquid. 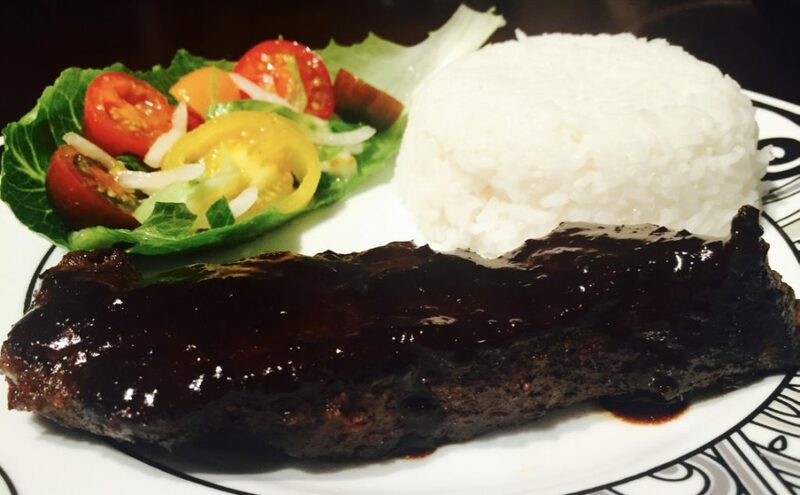 Glaze the ribs with the Asian Black Beans Sauce and serve. The result will be a blackish tender meat with a spiced & sweet flavourful kick. Love them with Jasmine Rice. Hope you like them too! !